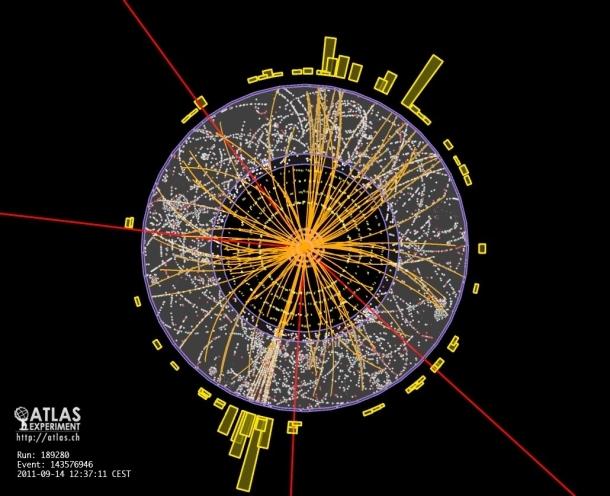 Researchers at the CERN particle accelerator have found "intriguing hints" of the Higgs boson, a moment of major progress in years of previously unfruitful searching for the elusive subatomic particle. The search for the Higgs boson is the top priority of CERN's massive and expensive Large Hadron Collider near Geneva, Switzerland. 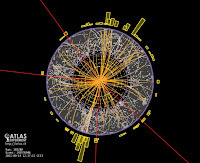 Its Atlas experiment showed a statistically suspicious increase in activity that indicates the Higgs could be pinned down with a mass of 126 giga-electron-volts, and showing some important agreement, its independent CMS experiment found a possible result nearby at 124GeV. "We observe an excess of events around mass of about 126 GeV," CERN physicist and Atlas leader Fabiola Gianotti said in slides presented today at a CERN seminar to physicists who applauded her results. That equates to about 212 quintillionths of a gram; by comparison, a proton is more than 100 times lighter with a mass of 0.938GeV.